Examples, solutions, and videos that will explain how to divide fractions. 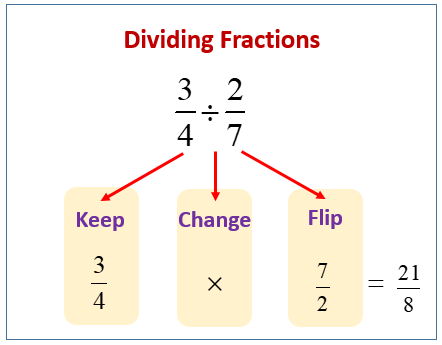 The following diagram shows how to divide fractions using the Keep-Change-Flip method. Scroll down the page for more examples and solutions.